Always inspect socket, wedge and pin for correct size and condition before using. Do not use part showing cracks. Do not use modified or substitute parts. Repair minor nicks or gouges to socket or pin by lightly grinding until surfaces are smooth. Do not reduce original dimension more than 10%. Do not repair by welding. Inspect permanent assemblies annually, or more often in severe operating conditions. Consult the socket manufacturer for recommendations regarding the specific use and reapplication of wedge sockets. Use only with standard 6 to 8 strand wire rope of designated size. For intermediate size rope, 9/16″ diameter and larger, use next larger size socket. For example: When using 9/16″ diameter wire rope use a 5/8″ Wedge Socket Assembly. Welding of the tail of standard wire rope is not recommended. The tail length of the dead end should be a minimum of 6 rope diameters. Use a hammer to seat Wedge and Rope as deep into socket as possible before applying first load. To use with Rotation Resistant wire rope (special wire rope constructions with 8 or more outer strands) ensure that the dead end is seized, welded or brazed before inserting the wire rope into the wedge socket to prevent core slippage or loss of rope lay. 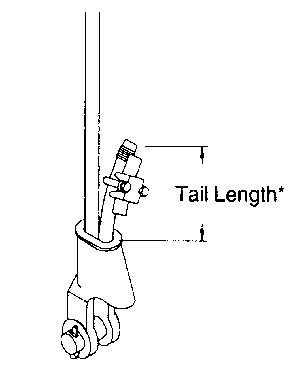 The tail length of the dead end should be a minimum of 20 rope diameters but not less than 6″ (See Figure 31). Apply first load to fully seat the Wedge and Wire Rope in the socket. This load should be of equal or greater weight than loads expected in use. Efficiency rating of the Wedge Socket termination is based upon the nominal strength of Wire Rope. The efficiency of a properly assembled Wedge Socket is 80%. During use, do not strike the dead end section with any other elements of the rigging (Called two blocking). Standard 6 to 8 strand wire rope. A minimum of 6 rope diameters, but not less than 6″. Rotation Resistant Wire Rope. A minimum of 20 rope diameters, but not less than 6″. Figure 31. The wedge socket is a very popular end attachment; it is easily installed and quickly dismantled. But it must be applied correctly.